Diopside-based ceramics and glass–ceramics have been studied because of their applications in electronics and biomedicine. 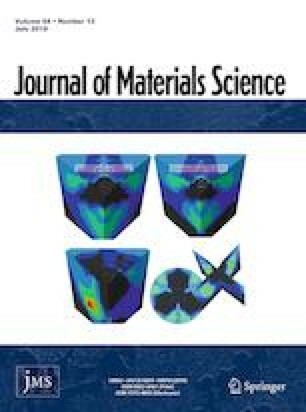 However, since diopside glass presents poor internal nucleation ability, sintering combined with surface crystallization of powdered glasses has been reported to obtain diopside glass–ceramics. On the other hand, in this work, we explore the effect of an efficient nucleating agent (Fe2O3) to induce copious internal nucleation in this glass, which enabled the production of single-phase diopside glass–ceramics by the traditional route. The crystallization kinetics of a diopside glass (25CaO·25MgO·50SiO2) containing 8.26 mol% of Fe2O3 was investigated under isothermal conditions by differential thermal analysis (DTA) and was modeled by the Johnson-Mehl-Avrami-Kolmogorov-Erofeev (JMAKE) equation. The crystals formed were iron-diopside—the X-ray diffraction pattern was indexed to the ferric-diopside card (Ca0.991(Mg0.641Fe0.342)(Si1.6Fe0.417)O6). Through a systematic DTA study, we successfully determined the mechanism and kinetics of crystallization of this material, which provided relevant information to guide the development of this novel type of internally crystallized glass–ceramic. We are thankful to the São Paulo Research Foundation (FAPESP) for funding this research, under the grant number 2013/07793-6 (CEPID). P.S. Bayer would also like to thank the Federal Institute of Science, Technology and Education of Santa Catarina for granting him a leave of absence to complete his doctoral studies.